The game that kicked up a storm on kickstarter is now out and the name perfectly sums up how time passes when you pick up this title. It’s placed in the genre Roguelike, the setting being in space still has a dungeon-crawler vibe to it, that said the game has many other components that give it a rather unique feel. A play-through can last between 3 (if very unlucky) to around 90 minutes, of course you have to get used to 1 life/Permadeath model but that is of course is what makes it so addictive with that “just one more try” nature. This game is wonderfully simple but hugely satisfying, you get to unlock new ships and configurations then embark on a trial and error journey to find out how to utilise it best. 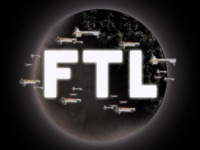 I’ve put in 41 hours into FTL so far and I’ve still not had a succesful run through. If you enjoy playing soul crushingly difficult yet very rewarding platformers then this game is for you. A tricky game where you control a character who has to battle monsters and out-smart puzzles of increasing difficulty, the controls are few but are built in such as way you get some fantastic combo-attack chains and combinations of the button open up more attacks. As the name implies there is a lot of pixel blood flying around in this game, oh and it’s very fun to play, I’ve been following development of the game for some time now, glad it’s finally arrived. 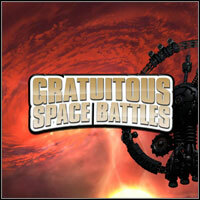 Cliffski has produced a new patch for Gratuitous Space Battles that introduces the functionality to direct ships mid battle, this allows you to alter the way/order that your ships engage the enemy, this small change has big impact to how a battle can pan out. While we are on the indie vibe the latest HB launched this week and has some great games and soundtracks. The last one I bought was purely to get the Bastion soundtrack which was $9.99 on steam and for $7 I got 6 games and 4 soundtracks, plus it gave a little to charity.